And when you have good credit, it’s easy to qualify for financing when you need it, whether it’s a new car loan, a mortgage, or a credit card. If you have bad credit, understanding your credit report helps you to identify the problem areas and work on improving them. As the negative items on your report are replaced with positive ones, you’ll notice your credit score begin to increase. Three credit bureaus, Equifax, Experian, and TransUnion, are the largest and most trusted in the nation and the majority of lenders use at least one if not all of them to check your credit history. While each credit bureau’s report may have subtle differences, the majority of the information on each report is similar. Each bureau’s credit report structure has several key categories of information that are deemed either positive, negative, or neutral. These categories include your account summary information, account history, credit inquiries, public records, and consumer statement. Let’s take a look at each one so you know how to read the information, and more importantly, how to use it to your benefit. 1 How can you access your credit report? 2 What information is on your credit report? 9 What information ISN’T on your credit report? Before you begin to understand your credit report, you first have to get it. The quickest and easiest way is to visit AnnualCreditReport.com. It’s the only website that is run by the three main credit bureaus. Federal law mandates that you may access your credit report for free one time every 12 months, and this is the place to do just that. Start off by entering some basic information about yourself. You’ll then have to go through a separate identity verification process for each credit bureau. If you’d like, you can begin by requesting just one or two reports and saving the others for later. This could be helpful if you want to track how the information on your report is changing over time. But if you’re about to apply for a large loan, you might want to check all three at once to make sure your information is accurate and up to date. Another consideration when you’re about to apply for new credit is the length of dispute time. When you get your report for free, the credit bureaus can take up to 45 days for an investigation. If you’re in a hurry, considering purchasing your credit reports because then they only have 30 days to respond to a disputed item. Once you decide which reports you want to request, you’ll be asked a series of personal questions only you should know the answer to. This might include confirming previous legal names and addresses, or answering financial questions, such as what credit cards you have or when a particular account was opened. From there you can download your report and view it immediately. If for some reason you don’t answer the questions correctly, you have the option to print out a form and request a copy of your credit report via regular mail. You can also use this option if you simply prefer paper copies over digital copies. Now that you know how to get your credit reports from Equifax, Experian, and TransUnion, let’s take a look at the information you’ll find there. Some of it is basic and easy to understand, while other parts require a little more analysis. The good thing is, you only need to learn this information once. After you figure it out, you’ll be able to quickly review and understand your credit report with little effort going forward. This information can help you fix your current score as well as contribute to making better informed financial decisions in the future. This basic section is easy to understand, but you’ll still want to check the details carefully for accuracy and consistency. 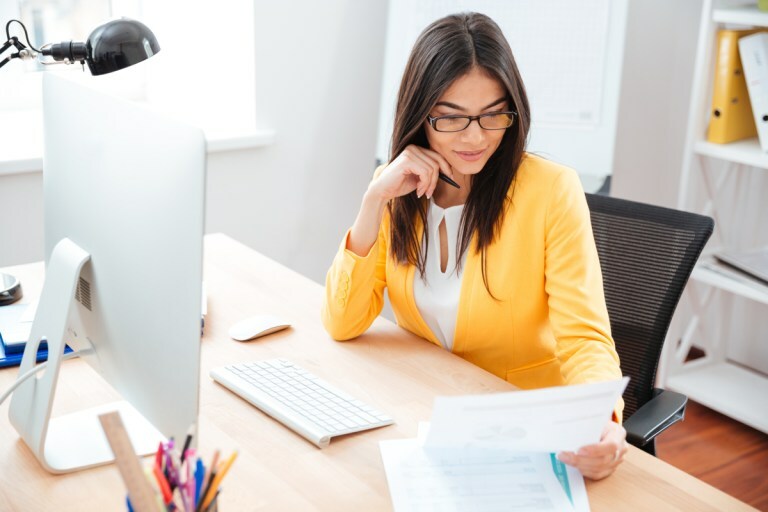 Here you’ll see information including your name, former legal names, current and past addresses, birthday, social security number, employer, spouse information, and whether it’s a joint account report or not. You may or may not have a lot of information in this section depending on how often you’ve applied for credit. For example, your employer doesn’t send any information to the credit bureaus and this section isn’t meant to serve as a resume. Instead, a lender may report your employment information from a loan application you’ve submitted. Any personal information shouldn’t affect your credit score but is instead used to verify your identity when needed. Check to make sure everything is accurate, but don’t stress, especially if you see something like a past job missing from your credit report. Here you’ll find a summary of all of your debts and where you stand with each of them. You’ll see four categories: mortgages, installment loans, revolving credit, and other types of debt. Your report also gives you an overview of the status of each category type. For example, if you have a mortgage, you’ll see your balance, the original loan amount, and how many total balances you have. For revolving credit, you’ll see your total balance owed for all cards, how much credit you currently have available, your credit limit, debt to credit ratio, monthly payment amount, and the number of accounts with a balance. You’ll see the same information for installment loans as well. One thing to note about your credit card balance is that depending on when the report is pulled, you could still have a balance even if you pay all of your cards in full each month. That’s because credit reports are essentially a snapshot in time. So if the report (or your credit score) is pulled after a billing cycle is complete but before you’ve made your payment, then that full balance is shown. To avoid this from happening, consider paying your credit card bill bi-weekly or even weekly. That way, you never have more than one or two weeks worth of charges listed on your credit report. Alternatively, if you reserve your credit card usage for major purchases, pay it off as quickly as possible rather than waiting until your next statement’s due date. If you’re in the middle of a loan application and need to boost your credit score by a few points or lower your debt to income ratio in order to qualify, ask your lender to perform a rapid rescore once you’ve settled your balances. This service quickly updates your credit report with the most recent information and just takes a few business days to complete, rather than the typical month or two. Depending on the length of your credit history, this section can be pretty long, but it’s also extremely important. Don’t let the length deter you from reviewing these entries with a fine-tooth comb. Why? Your account history shows years of individual payments you’ve made month by month on each of your credit accounts, from loans to credit cards. And your payment history accounts for 35% of your credit score, which is the largest contributing factor. It’s crucial that you perform your due diligence and make sure everything is accurate in this section. Here’s exactly what you’ll find under your account history section. Again, the details may vary among the three credit bureaus, but the general idea is the same for each one. First, you’ll see an entry for each of your current open accounts. Perhaps the most important piece of information here is the current status. Ideally, you’ll want the status to be “Pays As Agreed” because it means that you’re up to date on all of your payments. There are many other possibilities, so look for a chart with explanations of the code given if you’re not sure what your specific status indicates. Under each account, you’ll also see an overview with information such as the type of account, the highest level of credit you’ve had, term duration, date opened, current balance, scheduled payment amount, and your actual payment amount. From there, you’ll see a month-by-month listing of your payments on the loan or credit card. After you get through all of your open accounts, you’ll also see a similar listing for each of your closed accounts. 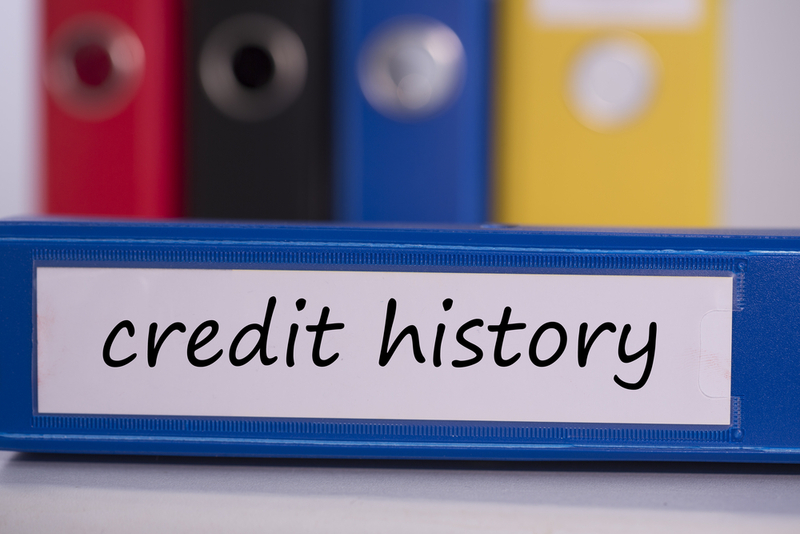 A credit inquiry refers to an entry on your report indicating you have applied for new credit, insurance, or financing. Each of these actions triggers a company to pull your credit and your score then dips a few points every time. If you just have one or two listed, this obviously isn’t going to have a major effect on your credit score. If you have several inquiries listed, however, the damage could really start to add up. Plus, you might scare off potential lenders by making it look like you’re scrambling for credit. So it’s wise to be careful with the amount of credit card and loan applications you submit. When you’re rate shopping, however, you can get a bit of leeway on your credit inquiries, specifically for installment loans. Say you’re comparing auto loan offers. As long as you apply with multiple lenders within a few weeks, all of those inquiries on your credit report will only impact your score as a single credit check. Inquiries only stay on your report for two years and luckily, they only impact your credit score for one year. Still, check for accuracy in this section. In the instance you find an inquiry for a loan product you don’t remember applying for, you can lobby to have the item removed from your report. You should recognize any information contained in the consumer statement section because it comes directly from you. Whenever you file a dispute with one of the credit bureaus and the subsequent investigation doesn’t resolve anything, you may submit a statement explaining your side of the situation. Typically you’re allowed 100 words. This gives you the chance to provide lenders with more information; however, make sure not to overdo it with consumer statements. Too many can raise a red flag even if you feel like the case (or cases) didn’t end fairly. The public records section deals with any judgments, tax liens, bankruptcies, or other public records available about you at the county, state, and federal levels. You’re likely to be very familiar with these particulars because they often involve court appearances, lawyers, paperwork, bureaucracy, and other headaches. Any of these items will have an enormous impact on your credit score and stay on your report for seven years or more. Make sure that all the information here is correct, otherwise, you’ll have unnecessary damage done to your credit. What information ISN’T on your credit report? One of the most important things to realize about your credit report is that it does NOT contain your credit score. Creditors and other companies report your payment history to the three credit bureaus. It is your right and responsibility to review and potentially dispute any incorrect information on that report. However, credit scores typically need to be purchased separately, although you can sometimes view yours for free through a promotion from one of your credit cards or bank accounts. The FICO score is the most common credit scoring model used by lenders. But the three credit bureaus have created an increasingly popular model called the VantageScore. The most recent version of this is VantageScore 3.0. Many websites offer free educational credit scores, but the algorithms aren’t the same as the mainstream models, so the scores can vary greatly from the one your lender actually uses. Remember that your credit report directly affects your credit score, but the two are separate items. Start off by reviewing your credit report and making sure all of the information there is accurate. Then, when you’re ready, consider purchasing your credit score to see where you stand. By then you should have a good idea of what factors are hurting or helping your score the most, and which ones you need to continue working on to improve.